You know when you wake up in the morning and you have that yearning for a slice of home baked bread? Or when you need a healthy afternoon snack that won’t make you feel guilty? Well, our healthy and delicious bread mixes are just the ticket. So what IS porridge bread? Well, it’s a really simple and delicious bread made with porridge oats, seeds and yogurt, with no added sugar, no gluten, no baker’s yeast. Perfect with homemade jam, nut butter and of course our hazelnut & cocoa nut butter. Pity that so many fruit loaves are FULL of sugar. But not ours. 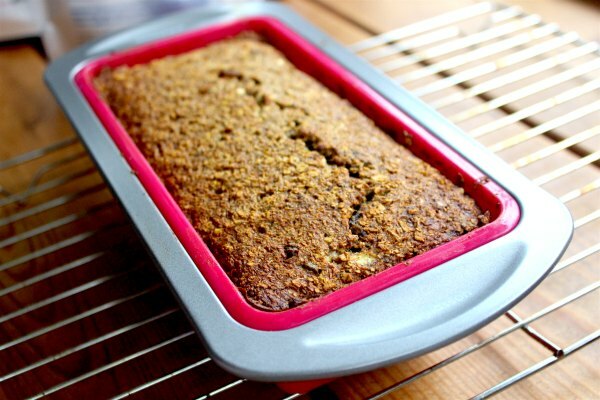 We use no fewer than 6 different fruits, coconut and 3 types of seeds too. So as well as being healthy it’s totally delicious too. Perfect with jam, nut butter or just by itself. Great for all sorts of occasions. Pop it in the toaster for a lovely warm start to the day. Or take a slice with you to work for a mid-afternoon snack. Perfect with a cup of tea. The smell of this Italian Tomato & Herb bread baking in the oven is one of life’s pleasures. You’ll find yourself wanting to cut into it as soon as it comes out of the oven. Delicious. It’s incredibly versatile. Great with hummus! We’ve even found you the PERFECT loaf tin. It’s exactly the right size (1lb), and since it’s made from silicone it’s completely non-stick and so pops right out, without the hassle of having to grease it. Want on? Just use the dropdown to select a Bread Mix + Tin bundle. BTW – why not freeze half of your loaf, and keep it for next week? Easy. 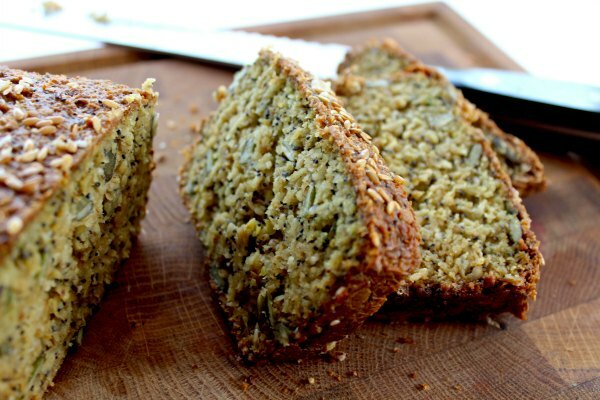 Porridge Bread Ingredients: Certified Gluten Free Oats (74%), Seeds (22%)(Pumpkin Seeds, Poppy Seeds, Sesame Seeds, Organic Milled Flax Seeds, Sunflower Seeds, Chia Seeds) & Bread Soda. Harvest Fruit Loaf Ingredients: Certified Gluten Free Oats, Greek Zante Currants, Pumpkin Seeds, Green Raisins, Phoenix Dates, Bread Soda, Plums, Apple, Coconut, Milled Organic Flax, Cinnamon, Chia Seeds, Raspberries. 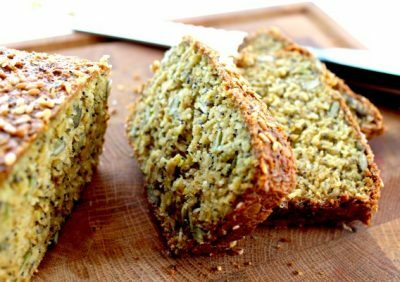 Tomato & Herb Bread Ingredients: Certified Gluten Free Oats (70%), Seeds (15%)(Pumpkin Seeds, Sunflower Seeds, Organic Milled Flaxseeds, Chia Seeds, Sesame Seeds), Italian sun-dried tomato (10%), Bread Soda, Smoked Paprika, Oregano, Rosemary, Basil. Allergens: in bold above. Even if not included in the ingredients list, all of our products may contain traces of peanuts, nuts & sesame. Each mix makes a 745g loaf once baked. Yes, any yogurt will do. We recommend Alpro’s dairy free yogurt. Storage: Store our bread mixes in a cool, dry place away from direct sunlight. Once baked, store in a cool, dry place out of direct sunlight. Freeze half if you like. Porridge Bread Mix Ingredients: Certified Gluten Free Oats (74%), Seeds (22%)(Pumpkin Seeds, Poppy Seeds, Sesame Seeds, Organic Milled Flax Seeds, Sunflower Seeds, Chia Seeds) & Bread Soda. Allergens: in bold above. 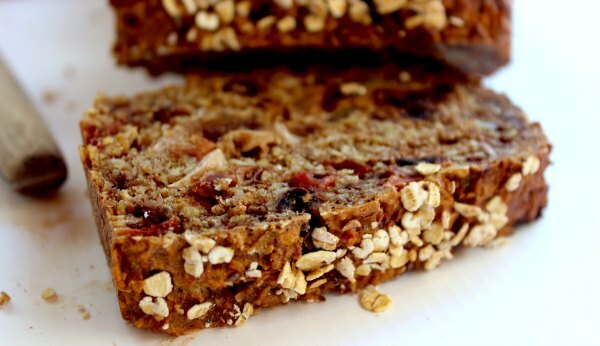 Our gluten free porridge bread may contain traces of peanuts, nuts & soya. Harvest Loaf Mix Ingredients: Certified Gluten Free Oats, Greek Zante Currants, Pumpkin Seeds, Green Raisins, Phoenix Dates, Bread Soda, Plums, Apple, Coconut, Milled Organic Flax, Cinnamon, Chia Seeds, Raspberries. Allergens: May contain traces of peanuts, nuts, sesame & soya. 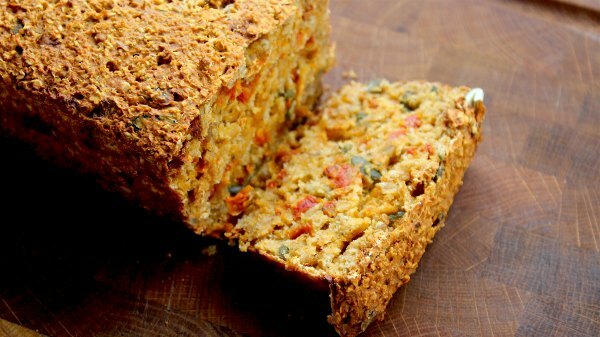 Tomato & Herb Bread Mix Ingredients: Certified Gluten Free Oats (70%), Seeds (15%)(Pumpkin Seeds, Sunflower Seeds, Organic Milled Flaxseeds, Chia Seeds, Sesame Seeds), Italian sun-dried tomato (10%), Bread Soda, Smoked Paprika, Oregano, Rosemary, Basil. Allergens: in bold above. Our gluten free bread may contain traces of peanuts, nuts & soya. Made with Certified Gluten Free Oats - Suitable for Coeliacs. Made with Certified Gluten Free Oats - Suitable for Coeliacs. Want a vegan version? Just use Soya Yogurt, like Alpro.